Born in 1831, Isabella, daughter of a clergyman, set off alone to the Antipodes in 1872 'in search of health' and found she had embarked on a life of adventurous travel. 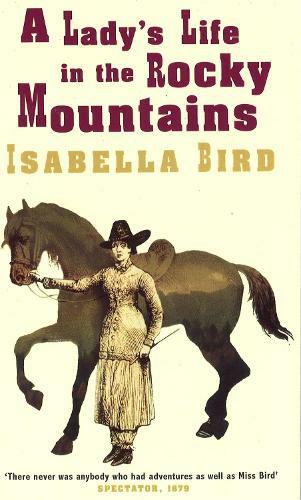 In 1873, wearing Hawaiian riding dress, she rode on her spirited horse Birdie through the American 'Wild West', a terrain only recently opened to pioneer settlement. Here she met Rocky Mountain Jim, her 'dear (one-eyed) desperado', fond of poetry and whisky - 'a man any women might love, but no sane woman would marry'. He helped her climb the 'American Matterhorn' and round up cattle on horseback. The wonderful letters which make up this volume were first published in 1879 and were enormously popular in Isabella Bird's lifetime. They tell of magnificent unspoilt landscapes and abundant wildlife, of small remote townships, of her encounters with rattlesnakes, wolves, pumas and grizzly bears and her reactions to the volatile passions of the miners and pioneer settlers.